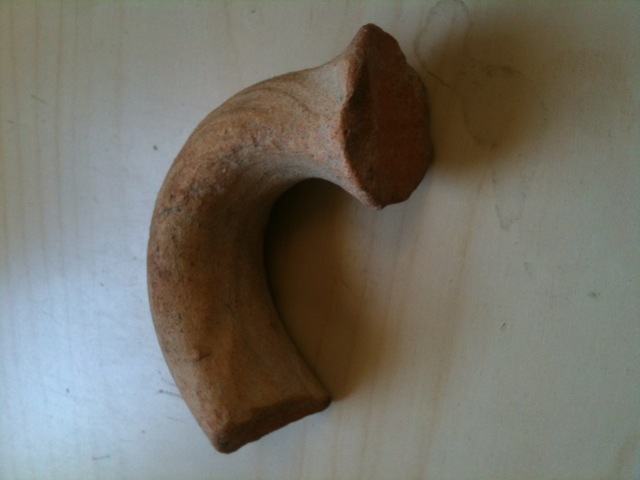 I found this while playing kick the can after a picnic in Ostia Antiqua near Rome in 1982. The handle was just lying in thick grass and I trod on it. Ostia is one of the oldest archeological sites in Italy and in those days very shambolic. I thought the handle needed rescuing, loved the warmth and colour of the clay and put in in my sock for the rest of the day. It has been on my desk for the past 30 years. Richard, Entrepreneur, 54, London, UK. All Our Treasure is a collection of the world's most precious objects. These are objects that have been treasured by individuals for the stories and memories associated with them. We aim to showcase the beauty of objects that are loved for strange and unexpected reasons. Flickr Pool: Whats In Your Pocket?